In what is destined to be the biggest event on the Fijian sporting calendar, it has been announced that a new US$1 million OneAsia tournament will be played from next year. 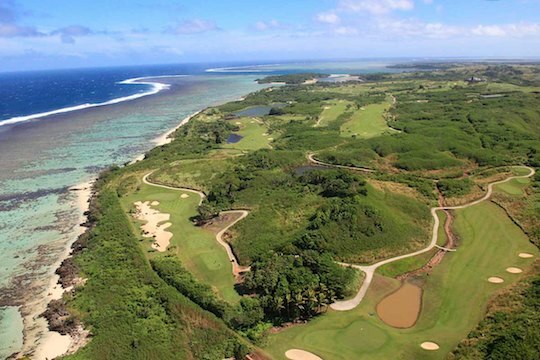 The Fiji International will be played at the spectacular Natadola Bay Golf Course and will be managed by OneAsia founding partner, the PGA of Australia, in conjunction with tournament promoter Sports & Entertainment Limited (SEL). The announcement of the five-year deal to establish the tournament in Fiji promises substantial economic and tourism benefits to the tropical south Pacific island nation and is an encouraging fillip to professional golf in the broader region. In making the announcement alongside Fijian Prime Minister Voreqe Bainimarama, Brian Thorburn — the CEO of the PGA of Australia — said the Fiji International presents an opportunity for Fiji to claim a position as one of the world’s greatest golf destinations. Planning is now underway to stage the inaugural tournament in August 2014, however it will likely move to a later position from 2015 to more closely align with OneAsia and the PGA Tour of Australasia’s existing major events including the Australian PGA Championship Australian Open. “Our vision is to see the Fiji International grow to be one of the most sought after trophies within the region, bringing some of the world’s best players to Natadola Bay.” said Thorburn. The course is renowned for its sparkling backdrop of coral reefs and the Pacific Ocean that line fifteen of the course’s 18 holes.